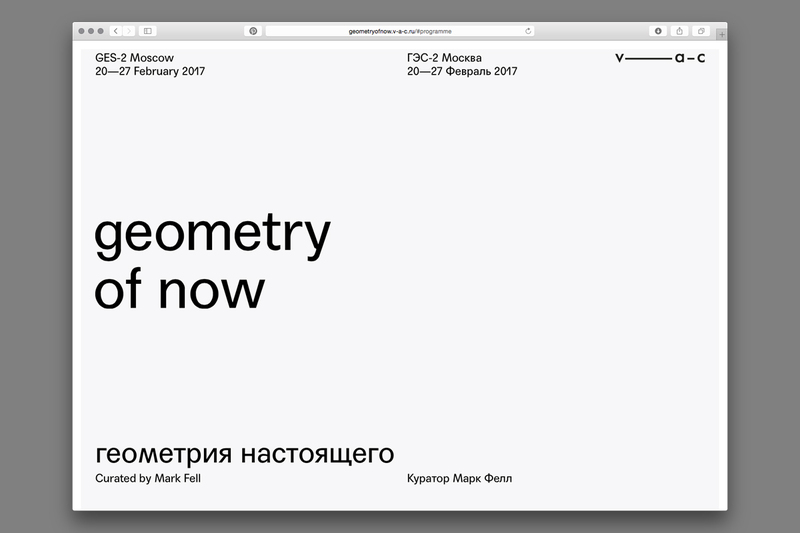 Identity and website design for Geometry of Now, a festival of sound presented by V–A–C Foundation. Curated by Mark Fell, the festival takes place at GES-2, the site of Moscow’s former power station. You can view the website here.